In FY18 the momentum continued and the College of Engineering posted its most successful fundraising year in its history. Alumni, friends, corporations and foundations invested over $176M in philanthropic resources, all to benefit Engineering’s students, faculty, facilities and programs. Over the past 12 months, 83 new endowments — funds that are established in perpetuity — were created to benefit areas across the College. Additionally, Engineering had its strongest showing on the Day of Giving, with more contributions made that day to the College than in any of the previous years: 2,406 gifts, which is the largest number of gifts received during any previous Day of Giving. One particular commitment of note: Don and Liz Thompson, alumni of the School of Electrical and Computer Engineering, created a $1M endowment in support of the Minority Engineering Program and scholarships for minority engineering students. “We want to pay it forward,” said Don Thompson, a Purdue trustee. 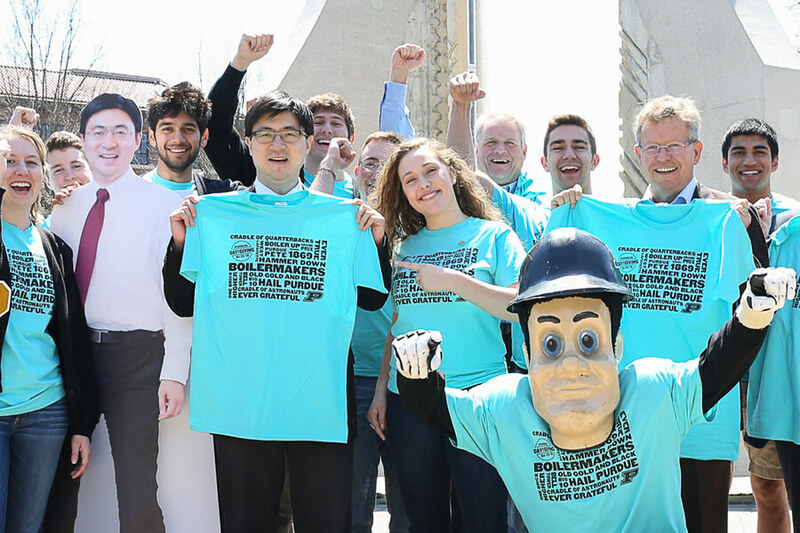 The participation from students on Day of Giving was equally impressive with the Purdue Student Engineering Foundation (PSEF) leading the way with the most number of gifts from a student organization. Overall, the College surpassed its Ever True campaign goal 15 months ahead of schedule, going beyond the $700M mark in March. Many thanks to the entire Engineering community for making these headlines possible.